Director Umesh Shukla says he is worried about Modi: Journey Of A Common Man coming under the scanning of the Election Commission. 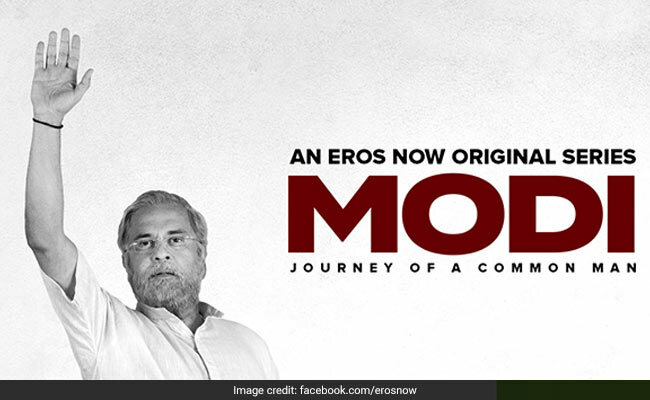 Director Umesh Shukla says he is planning to release his web series Modi: Journey Of A Common Man in April, but he is worried about the project coming under the scanning of the Election Commission. Recently the Election Commission had sought comments from the makers of biopic PM Narendra Modi, featuring Vivek Oberoi, on the opposition's demand to postpone its release till the Lok Sabha elections get over. The film is currently slated to release on April 5. When asked if he is worried that his web series might also come under the radar of the EC over violation of code of conduct, Mr Shukla told news agency PTI, "I am a little worried but at the same time, it's a different platform. This will come on the Internet. I don't think so that code of conduct is applied there. But we never know. We haven't declared our dates yet." The year began with a film on former Prime Minister Manmohan Singh, titled The Accidental Prime Minister which was deemed propoganda by critics. The timing of the release of the web series, right on the heels of the Lok Sabha elections, has raised many eyebrows but the 102 Not Out director said he does not "fear these things." "When I made Oh My God a lot of people threatened me saying how can you make a film like this in India about God. I started this (project) a year ago. It took time to materialise into what it is today.